Joint Entrance Examination (JEE) Main is one of the major entrance exams for engineering conducted by the Central Board of Secondary Education (CBSE) for admissions into various engineering colleges in India. For admissions into the technical and professional degree courses in entire country, the POA 1992 (Program of Action) was formatted under the NPE 1986 (National Policy on Education). For Engineering and Architecture programs Government of India made resolutions on 18th of October 2001 where 3 exams were to be conducted for various state and national level engineering institutes. AIEEE & IIT-JEE for the National Level institutions, SLEEE (State Level Engineering Entrance Examinations) for admissions into state level engineering institutions. In the year 2018 the AIEEE (All India Engineering Entrance Examination), registered a record of 12 lakh (around) candidates appearing the entrance exam. This was the highest ever number of candidates registering for the entrance exam conducted by CBSE. Later in the year 2012, CBSE declared JEE as the common exam and it also replaced AIEEE and IIT-JEE. The JEE is conducted in 2-phases, JEE-Main and JEE-Advanced. 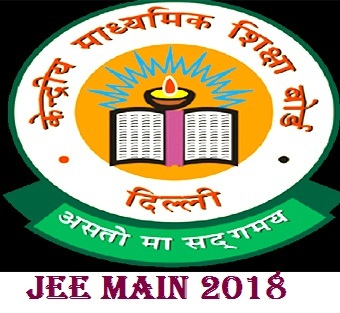 Candidates clearing the JEE Main are only eligible to appear the JEE advanced, and candidates clearing the JEE Advanced are then eligible for admissions. More than 1.5 million students appear for the JEE every year and this is enough to judge the seriousness of the exam and how much it takes to prepare for it. The candidates willing to appear for the JEE main must have to be a citizen of India and has completed his class 12th board exam in English mode, with Physics and Mathematics subjects as compulsory and chemistry/biotechnology as optional. For detailed eligibility criteria of the JEE Main please click here. As the JEE Main exam is one of the major exams and requires a lot of time and patience to prepare, in such situations the syllabus helps a lot. Preparing strictly according to the syllabus helps you save your time in which you can revise for a better understanding. The syllabus for JEE main 2018 is mostly as the syllabus of class 12th board exam and hence candidates are required to be thorough with the class 12th course structure and clear the basics. Click here to download the complete syllabus of the JEE Main 2018. Before initiating the preparation for JEE Main 2018, let us first have a view of the paper pattern and the question pattern. NCERT Mathematics Part I and II is the prime book to initiate and later students can shift on to R.S. Agarwal and other practice materials. The important topics such as geometry and trigonometry has to be covered from Tata McGraw Hill as it has all the important questions expected in the JEE Main. Statistics can be covered from again NCERT and S.Chand as it carries the detailed formulae and usages of it mentioned briefly. The students shall initiate the preparation from the NCERT part I and Part II, in order to clear the basics and make a strong foundation for further detailed and analytical part. It is always advised to read the complete chapters and clear every concept perfectly before you initiating the problem solving. Later on the students can try out for the H.C.Verma Physics book which is the most important book for Class 11 and Class 12 students. 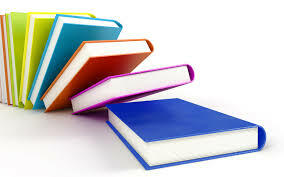 Spend your important time on productive study by focusing on the syllabus and your strengths and weaknesses. The time  management shall be done by using the right techniques, tools and skills to accomplish specific tasks and cover the topics that trouble you along with preparing for the better ones much better. Candidates can hang a calendar in their room and can include their schedule in it as to prepare which subject initially and which one to be done later. Candidates can also make the weekly schedule and must keep the deadlines for the subjects. For instance, Monday and Tuesday the important formulae of physics and Mathematics shall be studied with practical implications. Candidates can also make a particular day in the entire week to revise all that has been studied and can also appear the mock tests on that day to figure out the portions left to be studied. The JEE main is one of the toughest exam to crack, as it gives chance to take admission in some of the top most engineering institutes of the country. While initiating the preparation for the JEE Main candidates must understand the requirement of the paper. The mindset of every candidate must be different and hence they shall not compare theirs with that of others. The nervousness regarding the exam is obvious but then they need to learn how to overcome the nervousness and crack the JEE Main 2018. Have your workplace very much organized, with a proper planner for study. Plan everyday activities based on their level of importance. Figure out the proper time for study in the entire day and prepare the tougher subjects during that time. Plan every task of your before and execute accordingly. Consider combining the activities  and do some multi-tasking if possible. 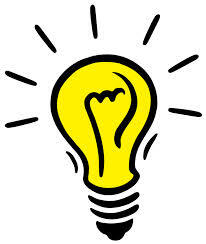 Divide the study by forming a study plan keeping the subjects according to the time of the day you need to study them. It is obvious that this might be very boring at times and hence altering the schedule can help well. Make sure to take regular breaks and keep separate time for that while preparing the schedule. 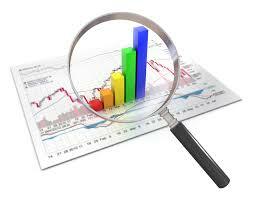 By Prioritizing the subjects of the JEE Main of the basis of difficulty in solving can help a lot. Ignore postponing any tasks, as you never know which might trouble you and when! Setting up of the vision that is achievable and not exaggerating your potential can help a lot while  preparing for entrance exams. Candidates can take various practice tests and exams which are available both online and offline in frequent interval  as it analyses their performances and helps them prepare well. This builds up the confidence and notifies the weaker sections which can be worked out. If the scores in these practice tests are not satisfactory, the candidates need not to be disappointed and they can keep on practicing more and more such question from various sources. By preparing you ensure half-success, and by doing enough of revision to recall all that you have prepared, ensures you complete success, hence prepare and revise every day. Whatever you learn or prepare today must be practiced and revised every day. Keep an hour or two for a quick revision of all that studied till date. Practice the solved papers again and again, and improvise your time taken to solve questions. Also practice similar question to have better understanding. Focus on your weak points and manage your time according. Revise the theory subjects that you find difficult at that particular time of the day when you are most fresh and energetic.